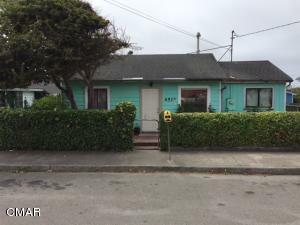 Here is an affordable three bedroom home that needs some updating and maintenance to be a sweet home. The open floorplan is heated with a freestanding oil fireplace. This extra deep lot is crossfenced and the west half has six apple trees and two plum trees. Detached garage and west deck are pretty old. Come fix them up and enjoy this convenient location close to good shopping.